This is unbelievable. Not only are these guys hot, they are heroes! 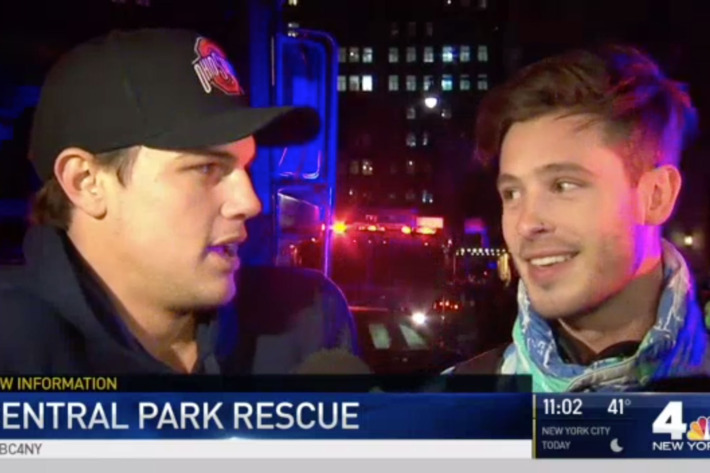 A pair of hunky male models were the heroes that saved the six teenagers who fell into the ice at Central Park Monday night. Ethan Turnbull, 24, was skateboarding with his friend Bennett Jonas, 23, when he saw the teens struggling in the freezing water and decided to take action. Little did the teens know, two jet-setting models with rock hard abs and chiseled jaws were soon to be their rescuers. Jonas was the first to jump and said the sight of seeing “6 kids screaming for help being pulled down” was the “toughest situation” he thinks he’ll ever go through. Just a casual Monday, skateboarding in Central Park and they just so happen to save kids drowning in a freezing cold pond. Enjoy some pics of these hot heroes.